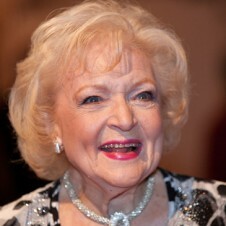 “I’m Betty White. But this October 17, you can call me Betty Purple,” the 91-year-old actress says. She’s also recruited her “Hot in Cleaveland” co-stars Valerie Bertinelli, Jane Leeves and Wendie Malick to participate in the event. Posted October 11th, 2013 & filed under Entertainment.